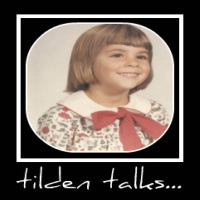 tilden talks...: Kitchen Remodel with Glass Tile! We've been doing a lot of work around here lately and I've decided to remodel my kitchen. Since I am on a very tight budget, I'm going to do the work myself. I want new cabinets and countertops, and I want Tiles for the back splashes and part of the counter near the sinks. Because I do nothing without consulting the internet, I searched around for tiles of all kinds. I finally found www.glasstilestore.com. The selection is extensive. I had no idea glass tile came in so many colors and styles. I expected to find Kitchen and back splash tiles, along with tiles for the bath. I was surprised to find they offer pool tiles as well. I had to consult my friend Jen. I wanted to go with a kind of vintage yellow or avacado and she quickly nixed that idea as very tacky. She's done a few tiling projects at her house and as an artist, she has a great eye for color and detail. We shopped for kitchen and bathroom tiles and found quite a few we liked. With that done we moved on to calculating how much tile was required for my space and the final cost. Very happy to find out the cost was within my budget and Glass Tile Store offers free shipping on all orders, we placed our order. Jen suggested looking into Subway tiles, but I thought they might be too big for my space. We chose a great tile called Summer Wheat, that has a nice luminescent quality and incorporates four different shades, so if I decide to change the color scheme, I'm not limited to one color to match the tile. The best part was that Summer Wheat is on sale and with the savings I was able to get the new faucet set I really liked! I did my kitchen two years ago and said I would add the tiles behind the sink and behind the stove when I could afford it. We still don't have tiles on the back splash OR behind the stove! We're finally getting a new stove though... maybe now would be a good time for tile too... hmmmmm. Yes! Having any less than an idea of what you need to project to be like finished can be a sure method check out kitchen countertop remodel for you wont be disappointed within the outcome.